Maple Lawn, MD | December 27, 2018 Vicente Sederberg and Offit Kurman recently entered into an agreement under which they will collaborate to better serve the cannabis law needs of companies and individuals in the marketplaces they collectively serve. The collaboration will provide each firm’s clients with access to high quality legal representation in new markets and service offerings. 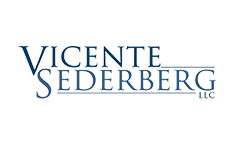 Vicente Sederberg has more than 55 full-time employees and more than two dozen attorneys, working from offices in Boston, Denver, Jacksonville, and Los Angeles. It also maintains collaborations with other firms based in Detroit and Las Vegas. Vicente Sederberg offers a full suite of services for all types of plant-touching marijuana and hemp businesses (cultivators, retailers, extractors, product manufacturers, distributors, and testing labs), ancillary businesses, investors, trade associations, and governmental bodies. “The regulations and regulatory environment for cannabis businesses vary from state to state, and industry clients need to find lawyers who understand the nuances of the applicable state program. Vicente Sederberg has been a pioneer and national leader in the field of representing cannabis law clients, and we are honored to collaborate with their top-tier lawyers,” says Principal Attorney, Jonathan R. Wachs.